Changelly — a leading instant exchange company has launched their AION Token to AION Coin swap service. This service enables AION ERC-20 Token holders to seamlessly exchange their tokens for AION Coins using Changelly’s user friendly, simple and fast platform. 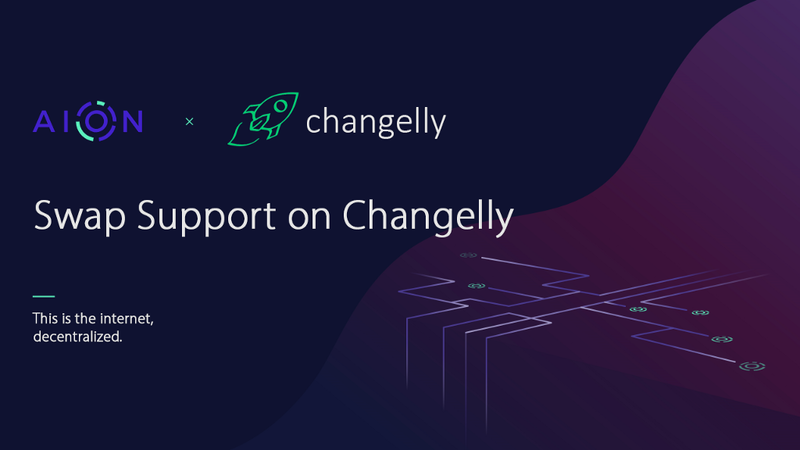 Changelly’s infrastructure has allowed for hundreds of thousands of seamless transactions between various digital assets and we are extremely excited for them to provide seamless support for our community as we complete our transition to the AION Coin. Please sign up for our newsletter to receive up to date information & announcements by registering here. Swap your AION Tokens with Changelly was originally published in Aion | Blog on Medium, where people are continuing the conversation by highlighting and responding to this story.